How to Set Music App to Stop Playing Music and Videos After a Certain Time on iOS! Fond of falling asleep while listening to music and wondering how to set music app to stop playing music in iOS devices after a certain time? The latest and the beautiful iOS 7 update brought a lot of new features, tiny updates and improvements to our Apple devices. Added to that list is a tiny little tip that would certainly help the music lovers. It is annoying to fall asleep to music and then wake up hours later to the tone of music – perhaps some song we don’t want to listen with a sleepy head. Moreover, it gets seriously frustrating if you were listening to an audio book and it kept playing for hours and then the next day you’d have to find out where had you stopped reading! Open the Clock app on home screen and set Timer. 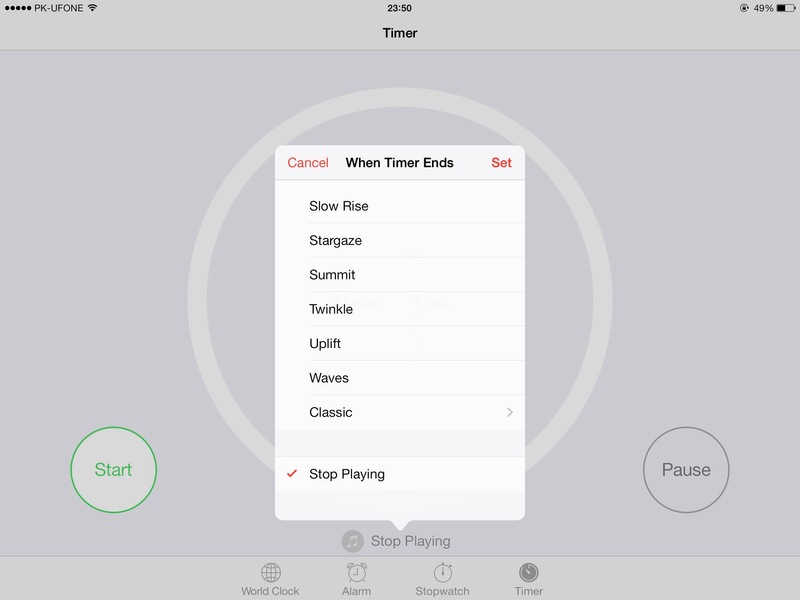 Now set the amount of time you want the Music app to play music for and click on the When Timer Ends button. Scroll down to Sleep iPod and click on Set. But, to set Music app to stop playing music in iOS devices other than iPod, go to Clock > Timer > tap on Opening > and select Stop Playing. This would work beautifully on your iOS devices and let you have some peace of mind when you try to sleep while listening to a book or your favorite music! That’s pretty much it. Relax back, turn some music on and forget about falling asleep while the app keeps going ahead of you!